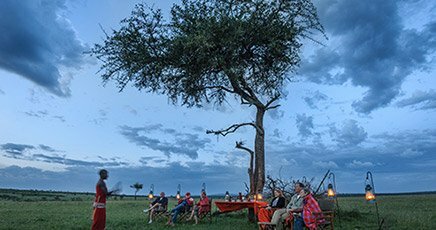 Seasoned safari travellers will understand the appeal of an active safari, where you can stretch your legs, work off some of the delicious culinary excesses and – most importantly – engage in the wilderness environment and the local communities on a much deeper level. 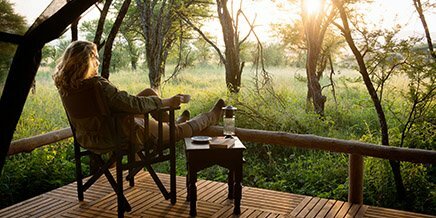 There is no better way to immerse yourself in the African bush than by getting out of your game-viewing vehicle and experiencing the wilderness on your own terms. 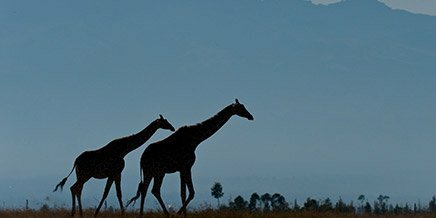 For a very Active Safari, we recommend that you select a combination of camps that offer a range of activities such as walking safaris and fly camping, as well as a destination like Rubondo Island, where you can take a guided walk through the thick equatorial forest to our beautiful treehouse. 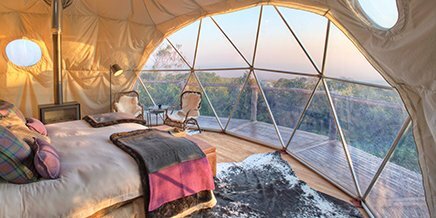 Spend a night or two here under the stars to feel the wild side of life. 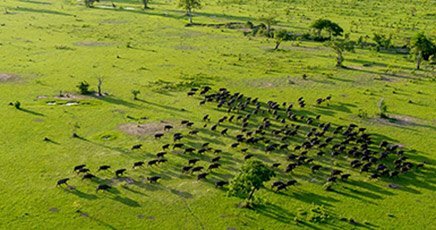 Rubondo Island also offers catch-and-release Nile perch fishing, forest hikes, canoe safaris and an opportunity to look for wild chimpanzee in their natural habitat. 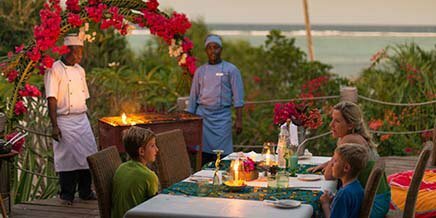 Add even more variety by rounding off your safari with a tropical island escape to Matemwe on Zanzibar. 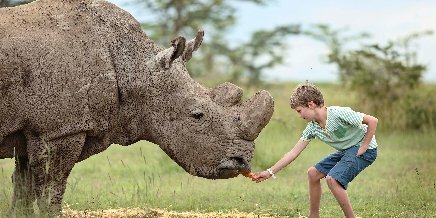 Our safari activities are suitable for anyone who is willing and physically able to take part in them. 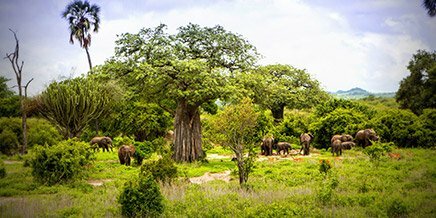 They are especially popular with experienced safari-goers looking for a deeper bush experience, however first-timers thoroughly enjoy these activities too. 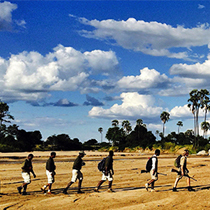 There is no better way to experience the African bush than on foot. 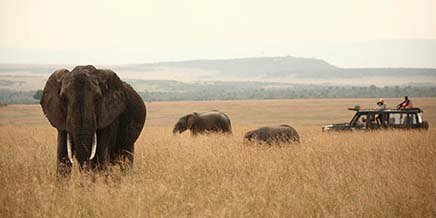 It is likely that you will get close to larger mammals with Asilia’s experienced walking guides, but this is your chance to explore the ecosystem from the ground up, learning about animal tracks, the beetles and bugs, the grasses, bushes and trees and the astounding birdlife. 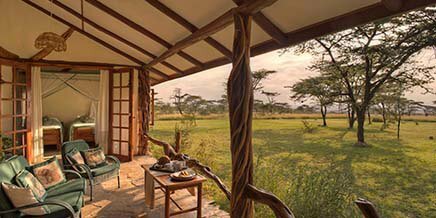 Available from: Encounter Mara; Kwihala Camp; Jabali Ridge; Naboisho Camp; Namiri Plains; Nomadic Camp; Oliver’s Camp; Sayari Camp; Rubondo Island Camp. 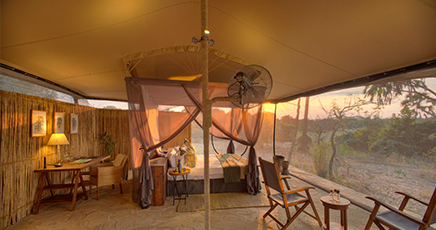 Available from: Roho ya Selous; Naboisho Camp; Oliver’s Camp, Little Oliver’s & Encounter Mara. 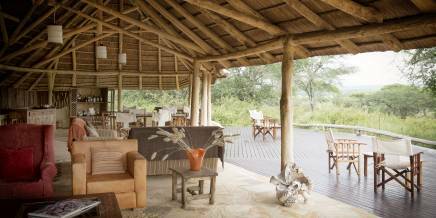 At Rubondo, guided walks through the forest are tailored to each guest and can stretch from an hour to half a day. Guided longer day hikes and multi-day hikes are available for keen walkers, with an overnight treehouse option in the forest. Guests at our Matemwe properties can take a Jozani Forest Tour, home to the blue Sykes monkey and the red colobus monkey, which is one of the most endangered primate species in the world. Available from: Rubondo Island; all our Matemwe properties. 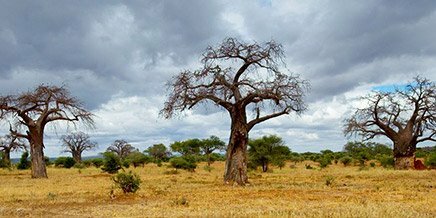 Explore the habitat of Rubondo’s wild chimpanzees on foot and learn about these remarkable primates. Although the island’s chimps are slowly habituating to humans, sightings unfortunately cannot be guaranteed. As the chimps are wild, the emphasis of this experience is on learning about the chimpanzee and the habituation process. The camp does have a small chimp research library that contains photos of the chimps and details of the habituation process. 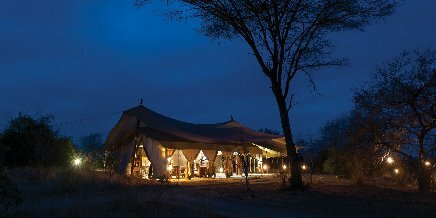 Members of the research team are often in camp and are likely to join guests for drinks or dinner. 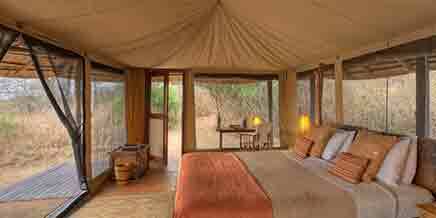 Available from: Encounter Mara; Mara Bush Houses (Topi House only); Naboisho Camp & Rekero Camp. 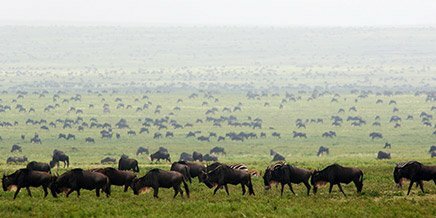 Whether on Rubondo or at Matemwe, there are several water-based activities to enjoy on your holiday to East Africa. As Zanzibar’s tides ebb they reveal a whole new world of underwater creatures! Take a guided walk through the lagoon towards the infringing reef to discover marine creatures you might not encounter on a snorkelling trip. It’s also a good opportunity to learn about the local seaweed farms. Available from: all our Matemwe properties. Guided canoe trips (self-paddle or assisted) allow you to explore quiet corners of the island, soaking up the tranquillity of Rubondo and seeing its aquatic surrounds from a watery perspective. 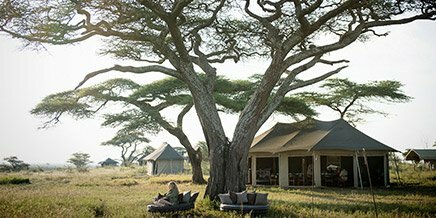 Fishing adventures are offered on the Indian Ocean around Zanzibar, as well as on Lake Victoria – Africa’s largest fresh water lake – where you stand a chance of hooking the legendary Nile Perch. 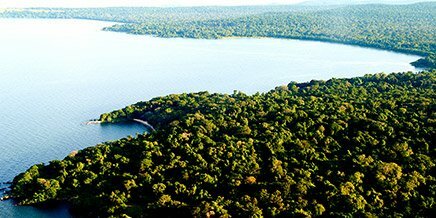 Freshwater fishing: Rubondo Island offers some of the best freshwater fishing in East Africa. 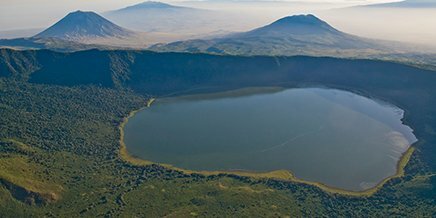 It is renowned worldwide among anglers who travel to Lake Victoria for the opportunity to hook into one of Africa’s biggest and most sought-after freshwater species, the Nile perch, and tilapia. Catch-and-release fishing from Rubondo Island Camp can be done off the beach and rocks, or by boat. 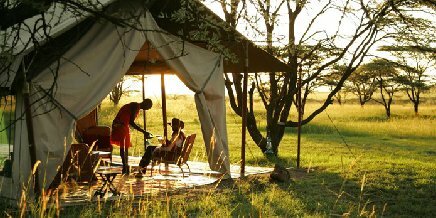 The camp has two fishing boats, which can be shared or privately hired. 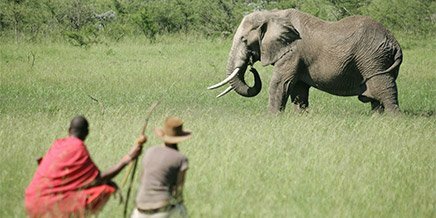 Big-game fishing: The Swahili coast is a prime game fishing destination. Marlin, sailfish, yellowfin and dogtooth tuna, large wahoo, king mackerel, dorado, barracuda and record-breaking giant trevally all put up inexhaustible displays of strength and give enthusiastic anglers a good chance of a personal best. Different charters are available. The boats vary in size, trip length and targeted fish, and can be customised to your wishes. See the world from a different perspective when you go underwater. 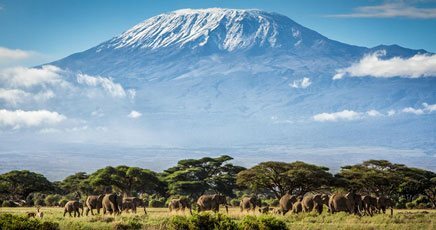 East Africa has some of the world’s most pristine diving sites. 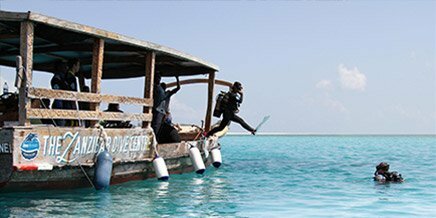 At Matemwe on Zanzibar, beginners can complete their PADI course; more advanced divers can explore the Mnemba Atoll. A full range of diving courses is available through Scubafish. 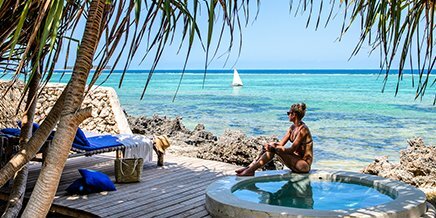 Regularly voted as one of the best snorkelling and dive sites off the African coast, Mnemba Reef is home to a startling diversity of tropical fish and a resident pod of bottlenose dolphins. Sail out to the reef on a dhow, accompanied by our watersports staff who will guide you through this underwater world. A private snorkelling excursion can be arranged. Kitesurfing is an exciting sport for all ages and abilities, and Zanzibar is a kitesurfer’s paradise, with crystal clear, warm shallow water, lagoons, islands and bays. Our kiteboarding partner uses Cabrinha and NPX equipment; they offer courses, group lessons, private lessons and equipment rental. If high-adrenaline activities are your thing then Asilia can organise a wide range of watersports such as waterskiing, wakeboarding, kneeboarding, banana boating and ringos. For a different view of Zanzibar’s white sand beaches of Nungwi and Kenda, try parasailing. Speed freaks should try jet skiing: no experience is necessary, but you will follow a guide on an adrenaline-fuelled trip along Zanzibar’s coastline. Whether you are keen for an energetic paddle or just to gently cruise along, kayaking is a wonderful way to explore the area around Matemwe. We have both double and single sit-on-top kayaks available. What’s included? Kayaks are available free of charge at the watersports centre. A member of staff will gladly assist you with carrying your kayak down to the water. Traditional wooden dhows (or ngalawas) are an iconic sight on the Swahili coast. Explore the inside of the reef, hugging the coastline, on a gentle sailing trip in one of these locally handcarved fishing boats. Every month, for just a few days during the full and new moon spring tides, the pristine sandbank beach of Infinity Island is accessible. Sail there by dhow, stopping en route for a snorkel at Mnemba reef. 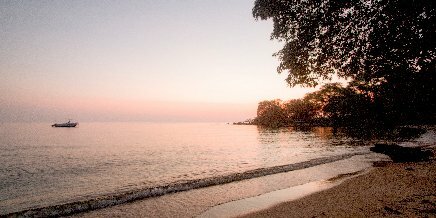 On arrival at the beach you can explore, relax and enjoy a picnic with a glass of chilled sparkling wine. Please note this is a private activity for couples or groups and guests will not be mixed. What’s included? 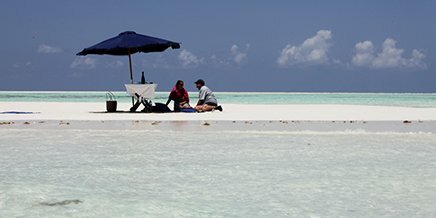 Dhow transfer to the sandbank, snorkelling, picnic lunch and a bottle of sparkling wine. If the tides are not quite right for Infinity Island, a trip to Muyuni trip is just as beautiful! Enjoy a boat trip along the shore on a traditional dhow, jump off and snorkel round the Mnemba Atoll, and then land on the white sand Muyuni Beach for a picnic and a day of swimming and snorkelling. See dolphins, swim at a pristine sandbanks and snorkel the beautiful coral reefs. 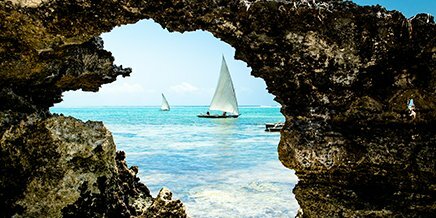 Spend a full day on the water, exploring some of Zanzibar’s secret sandbanks and reefs. 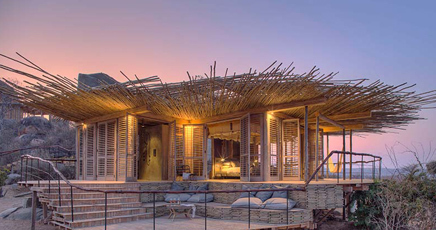 Board a dhow at Fumba village in the southwest of Zanzibar and head to the beautiful Menai Bay conservation area. Menai Bay has several naturally occurring sandbanks with safe swimming and great snorkelling. From there it is time to head to Kwale Island to explore the natural lagoon before returning to Fumba by a traditional lanteen sail. 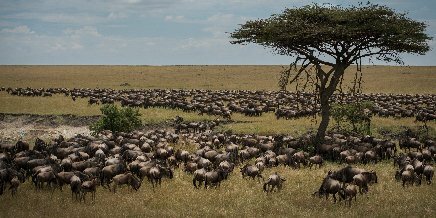 Asilia prides itself on having the very best guides in East Africa. Our guides have been doing this for many, many years and know exactly what they are doing and talking about. This means that the entire activity with them will be top class and give you a personal and extraordinary experience. These kinds of activities are not things that every company can offer and particularly our guides make these experiences so much more worthwhile and special. 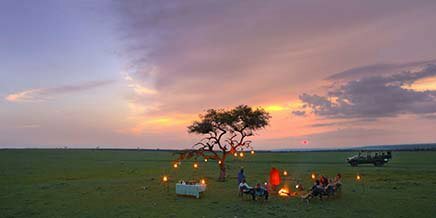 We always have great feedback from our guests when they take part in these activities and they are often the highlights of their trips. As Asilia we would never put our guests in danger and always make sure to have the best guides to take part in the activities with our guests. 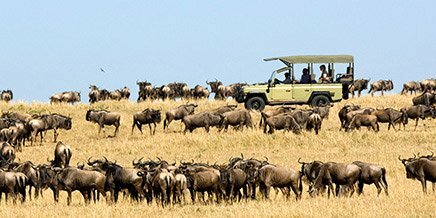 Especially in the case of the fly camping and walking safari experiences, we will always a have an armed guide with our guests in order to ensure our guests safety and experience are our top priority. 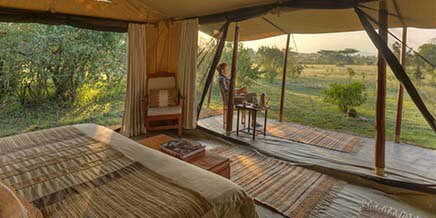 The only time we use third-party guides is when park regulations require certified TANAPA rangers to join our walking safaris and fly camping at Namiri Plains and Sayari Camp. 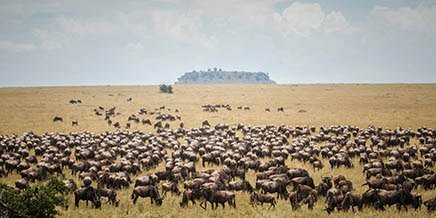 In 4 days we walked 86km, we crossed 5 Mara Conservancies – Naboisho, Olare-Orok, Mara North, Ol Chorro & Lemek – on an adventure of a lifetime. 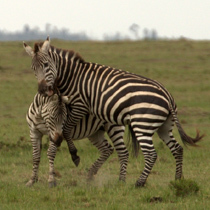 To train a safari guide in the intricacies of being able to conduct a safe walking safari is grey hair producing stuff.